AKC Registered Dogs. What Does AKC Dog Registration Mean? AKC registered dogs are dogs whose parents are recognized as a specific breed with the American Kennel Club. A purebred dog is eligible for AKC registration if its litter has been registered. Otherwise, a three-generation pedigree must be provided. What does AKC Dog Registration Mean? It means that your dog is likely to look like a member of her breed. Simply put, the AKC is a registry body. This North American Purebred Dog Registry is sort of a Bureau of Vital Statistics for dogs. AKC Registration is not necessarily a sign of a quality dog. "Registration, in itself, does not guarantee the quality of health of a dog. There are no provisions in our rules to preclude the breeding of dogs of questionable quality." In fact, they do not allow breeding restrictions, such as requiring hip and elbow X-rays before a dog can be bred. Their only criteria is age of the dog - no less than 8 months old. Unlike most kennel clubs in other countries, the AKC is not part of the Fédération Cynologique Internationale (World Canine Organization). One reason for this is because the AKC prohibits clubs from imposing stricter regulations. Member clubs are prohibited from imposing health standards for breeding. An AKC breed club cannot require a higher breeding age, genetic tests for inheritable diseases, hip dysplasia ratings or any other restrictions. Animal expert Temple Grandin maintains that AKC breed standards only regulate physical appearance. Not emotional or behavioral health. The popularity of the German Shepherd breed has created a lucrative market for puppy mills and backyard breeders. It is easy to obtain AKC registered dogs from these irresponsible breeders. In fact, the AKC has been criticized for courting large scale commercial breeders (aka puppy mills). AKC Registration is not necessarily a reflection on the quality of the breeder. Nor on how the puppy was raised. What if my puppy has emotional issues or develops health problems? On their "How Do I Resolve a Conflict with my Breeder?" FAQ page, it is made clear that you are on your own. "While The American Kennel Club attempts to foster sound breeding, our jurisdiction is limited to the practices one must follow to ensure proper identification of dogs registered with The American Kennel Club. AKC is a registry body. A Registration Certificate identifies the dog as the offspring of a known sire and dam, born on a known date." So, an AKC registration paper is basically a birth certificate for your dog. "...responsible breeders are characterized by the quality of care and conditions that they provide their dogs and the quality (including health, temperament and breed type) of the puppies they produce." But there is NO quality control. The AKC allows breeders to regulate themselves. In contrast, many dog clubs outside the US do require health testing for breeding dogs. The German Shepherd Club of Germany requires hip and elbow X-rays and other tests before a dog can be bred. In 1966, Germany instituted mandatory hip dysplasia x-ray submission for German Shepherds before they can ever breed or show for a Championship. All German Shepherds in Germany must be tattooed by a Breed Warden (an official of the SV) before the puppies can leave the breeder at 8 weeks of age. The tattoo must be checked and recorded on the hip x-ray to eliminate x-ray "swapping." And before you can breed your German Shepherd, it must be hip certified. For a not-for-profit registry entity, the AKC appears to run like a for-profit business, complete with lobbyists. They fight legislation that restricts breeding. More puppies = more registration fees. They encourage breeding with special offers for AKC litter registration: "A litter registration coupon which may be redeemed when you register your next litter." For these, and other reasons, a small number of breed clubs have not joined the AKC so they can maintain stringent health standards. But many breeders comply and sell AKC registered dogs as they want to show their dogs at AKC shows, such as Westminster. AKC registered dogs may or may not include the qualities important to breed founder Max von Stephanitz. 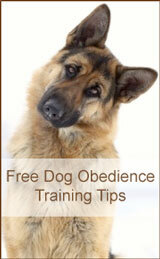 If you are looking for a quality German Shepherd, make sure you patronize a quality German Shepherd breeder. If a breeder offers AKC registry, know that is not necessarily a sign of good health and temperament. An SV registration will carry a lot more weight as both parents were not only hip and elbow certified but also recommended for breeding.